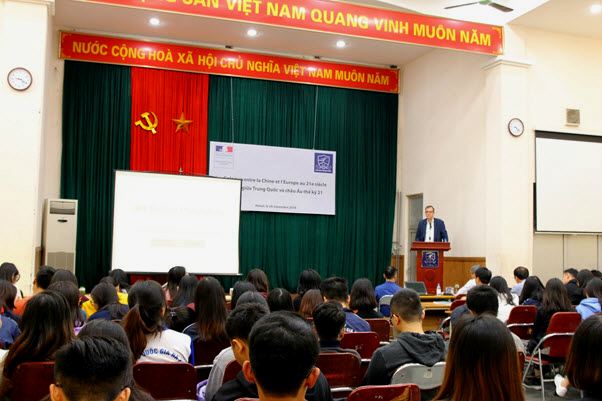 On November 26th, 2018, ULIS-VNU in collaboration with the French Embassy, organized an international seminar to introduce the book “Dialogue between China and Europe in the 21st Century” by Claude Meyer – Professor from the Political Academy of Paris, France. The seminar was attended by Assoc. 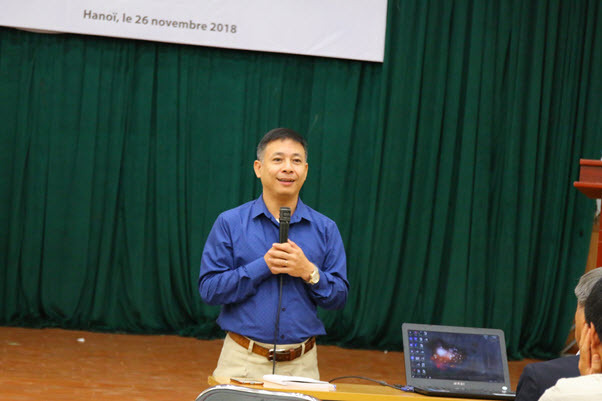 Prof. Dr. Lam Quang Dong – Vice President of ULIS, Board of Management, lecturers, students of the Faculty of French Language & Culture and the Faculty of Chinese Language & Culture, graduate students, and PhD students. 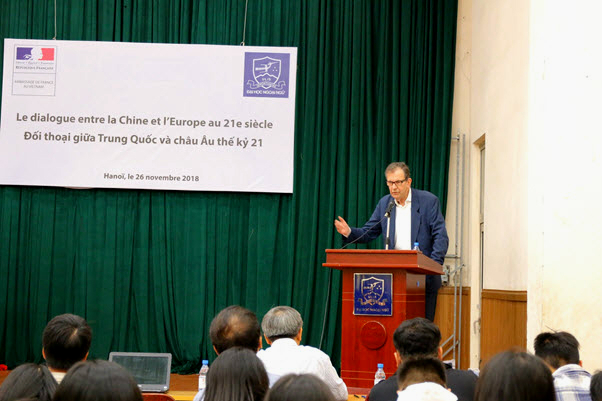 Delivering his remark at the seminar, Vice President Lam Quang Dong thanked Claude Meyer for coming to the University and introducing the book “Dialogue between China and Europe in the 21st Century” (Le dialogue entre la Chine et l’Europe au 21e siècie) for lecturers and students of ULIS. He appreciates the timeliness of the book and believes that lecturers and students will gain valuable knowledge through the seminar. “Dialogue between China and Europe in the 21st Century” is the latest book of Professor Claude Meyer. During the seminar, he presented the main contents of this book, including information on China’s rapid and strong growth in recent times, on China’s development strategies and policies, on the relationship between China and Europe in the 21st century, and many other interesting issues. The seminar attracted over 100 students.